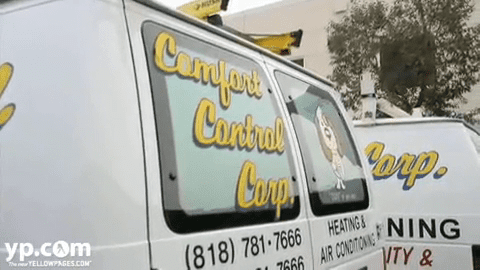 West Los Angeles HVAC Company | Comfort Control Corp. Sometimes the best technician is the one that cares about how you feel—not what you buy. Since 1973, Comfort Control Corp. has been training our staff to provide service that educates our customers, not pressure them into paying for services they don’t need. As a result, our customers trust us again and again to give them knowledgeable, efficient, and friendly repair service. Ultimately, that’s our goal—to build trust with our customers so they know there’s an HVAC repair team who has their backs. Together, our technicians have over 90 years of experience combined. We’ve been serving West Los Angeles and surrounding areas since all that was here was a train station—in that time, we have become the first company families will call when their heaters and ACs break down. That’s a fact that we’re proud of more than anything else. "More Than 90% of Our Business Is Referral"
At Comfort Control, our goal is to make lifelong customers with every service call. And so far, our old-fashioned approach has worked! 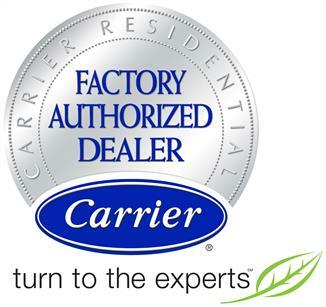 All it has taken is courtesy, attention to detail, and genuine passion for air conditioning and heating repair. Check out our video to see a day in the life of one of our technicians, as well as why Comfort Control has become such a trusted name in the last 40 years. We Can Handle Anything You’ve Got! 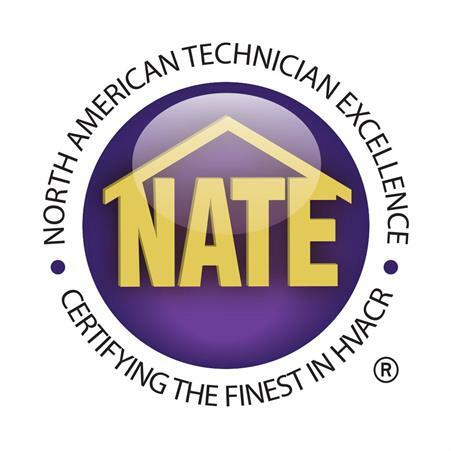 With nearly a century of combined experience, our team is equipped to handle any type of HVAC need you have. From air conditioning maintenance and repair to designing a system from scratch, our technicians have one goal: take care of your problems. When we arrive on your doorstep, you can trust that your problems will be solved in short order because we commit all of our training, our experience, and our skill to being your best problem-solvers. Our trucks are fully equipped to handle most any problem you’re experience, and our skills aren’t limited to run-of-the-mill HVAC problems either. We’ve designed industrial HVAC systems, custom room refrigeration for wine storage, and created custom zoning systems for highly-efficient homes. We’ve learned a lot in the last 40 years, and we want to benefit you with everything we know. Click on any of these services to learn more about how we can help you! Phone: 661.777.9014 Regular Hours: Monday - Friday: 8:00 A.M. – 5:00 P.M. Saturday & Sunday: Closed Service Area: We service West Los Angeles, the San Fernando Valley, and the Santa Clarita Valley. I'm a project manager and chose Comfort Control for tough retrofit project in Beverly Hills. They provided solutions that no one else provided. In fact the other HVAC contractors just walked away, saying they wouldn't touch the systems and didn't know how it passed inspection. But when the rep came, they offered a non-invasive solution my client could live with, as well as provide sound mechanical engineering so that I could be assured this solution wasn't guess work. They turned a challenging problem into an HVAC that works great now. UPDATE: 6 months later Roy from Comfort Control came to service the HVAC package units and take care of a small warranty issue. He's smart, knowledgeable, thorough, efficient, considerate of the owners and considerate of their property and NICE! I couldn't ask for a better technician. This means a lot to me. This is a big deal. I don't hire or recommend just any contractors. They are few and far between, because when I hire contractors for my clients, they represent me. Also, my client wanted me to make sure I went on Yelp and gave this company and Roy a good review. This was a big deal to her. So here it is, for Comfort Control and my client, my first Yelp review. - Carla P.
Abel, the technician from Comfort Control, just came to our house. The service was excellent! He explained our system very well and set up our thermostat to satisfy our needs. - Beth R.
Comfort Control is fantastic. I've used their services for almost 10 years at multiple companies. They explain everything and always help solve problems. Abel really helped me out today and is always super friendly. Thanks guys! - Andrew B. Comfort Control installed our A/C unit when we remodeled our home in 2013. They have been maintaining the unit since then. The reps are always on time, friendly, and very professional. I wish more service reps were as good as Comfort Control. - Jean L.
I have used Comfort Control for years. These guys are good they know what they are doing and do not cut corners. From Russ to George to Ken they are all great to work with and I highly recommend. - Sean M.
We have used them for 6yrs and they are the best. They show up when they say, they respect your property and they know heating and cooling. Abel is one of the best of the best. We highly recommend them. - Edward S.
Comfort Control people are the best. They show up when they promised to, they are efficient, and very courteous. Kevin replaced our compressor today and he was awesome! - Jim L.
Excellent service. Kevin was great! He got our AC working and addressed all of our issues quickly and efficiently. We highly recommend him and this company. - Toni S.
I have been using Comfort Control for years now and they are one of the best. They have always been on time. Their pricing is fair. Their technicians are always kind and courteous. Kevin, the technician we request, is well schooled in the field and is always teaching me so;meting about our heating and air conditioning units. Our units always last beyond their expected life and I truly believe it is because of the maintenance program I have been on for years. This company is well worth looking into. Thanks, Comfort Control - Francesca C.